Reboot, get inspired, and network! The SEGD Conference is the only annual conference designed for creatives working in Experiential Graphic Design. Make sure to fly in early enough on Wednesday so that you can join the evening welcome party being hosted by Archetype at their facility in Bloomington where you will experience a warm Minnesota welcome. Joining a conference where you don't know the community for the first time can be daunting, especially if you are new to conferences. Not at the SEGD conference! SEGD Design Workshops and Roundtables give conference attendees to build a skill, expand their knowledge through conversations with topic experts, and just plain have fun with design! 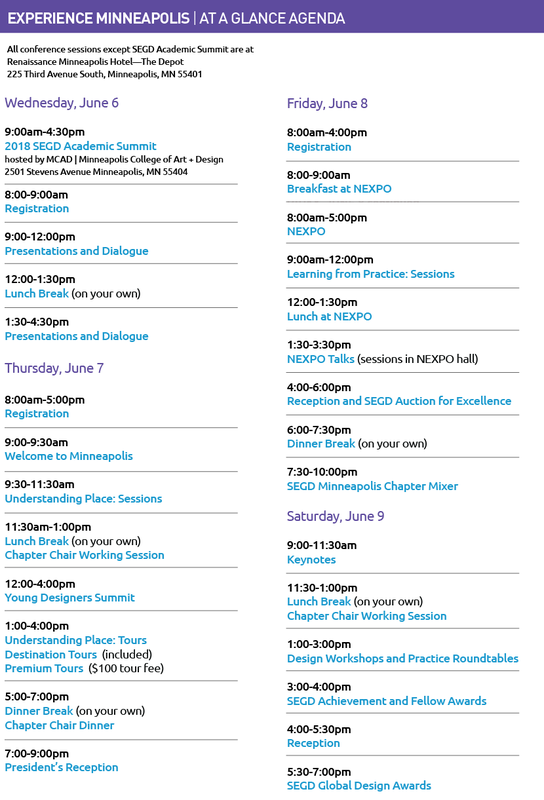 Reboot, recharge and reconnect at the 2018 Conference Experience Minneapolis. This annual gathering is the only conference specifically created for the experiential graphic design community. The three-day event will focus on inspiration and education, with a combination of hands-on workshops, design tours, summits, networking socials, thought leadership sessions and the NEXPO show floor. 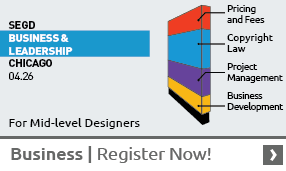 Book online using code "SEGD" The room block books up quickly, so please book early to get the SEGD discounted rate. As locals, 2018 SEGD Conference Experience Minneapolis Co-Chairs Gretta Fry and Gary Stemler know a thing or two—not only about what this year’s conference has to offer, but also how to take advantage of this year’s host city. Here, they share what they’re looking forward to most at this year’s event—and why you should make sure you’re in Minneapolis June 7–9. The SEGD Conference tours have become a signature part of our annual gathering, giving you a chance to get out of the conference room and see the city. Your only problem: there are so many great tours, it's hard to choose just one! 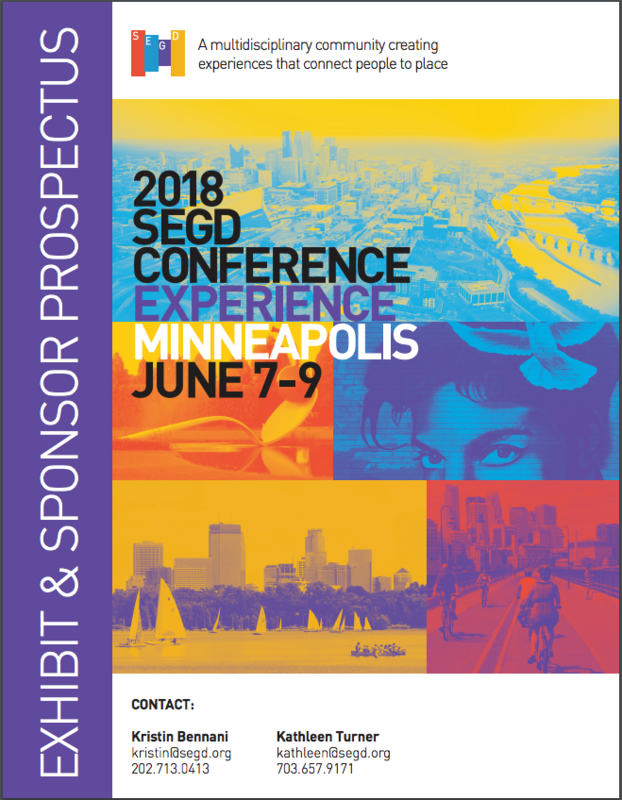 Does your boss need some persuading to sign off on your trip to Minneapolis for the 2018 SEGD Conference, June 7–9? We can help with that. Here’s a letter chock-full of ROI to get you there. With every SEGD Conference, you know you can expect a killer lineup of speakers, loads of inspiration, a trendy design-forward locale and parties—so many parties. [Ahem, we mean networking opportunities. Sorry, boss.] But it’s what you can't anticipate that often make the best memories. 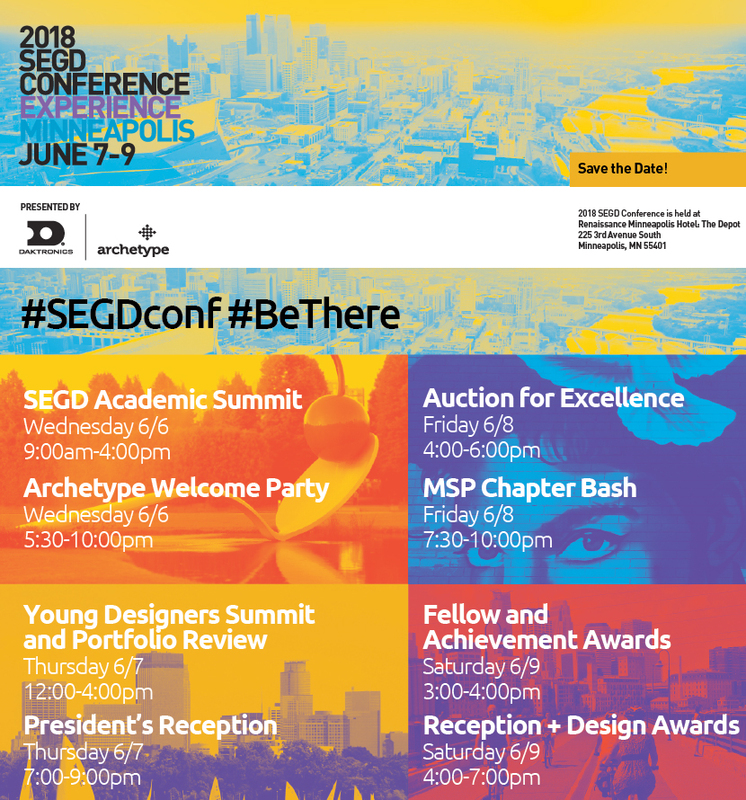 The 2018 SEGD Conference Experience Minneapolis will bring together the international experiential graphic design community in the “City of Lakes” June 7–9, for three inspiring days of programming.